Celebration of Black History Month expands with full slate of student activities. 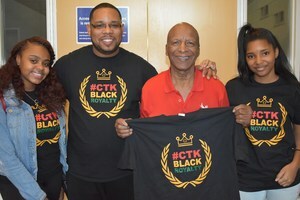 CTK's celebration of Black History Month continues to expand every year. 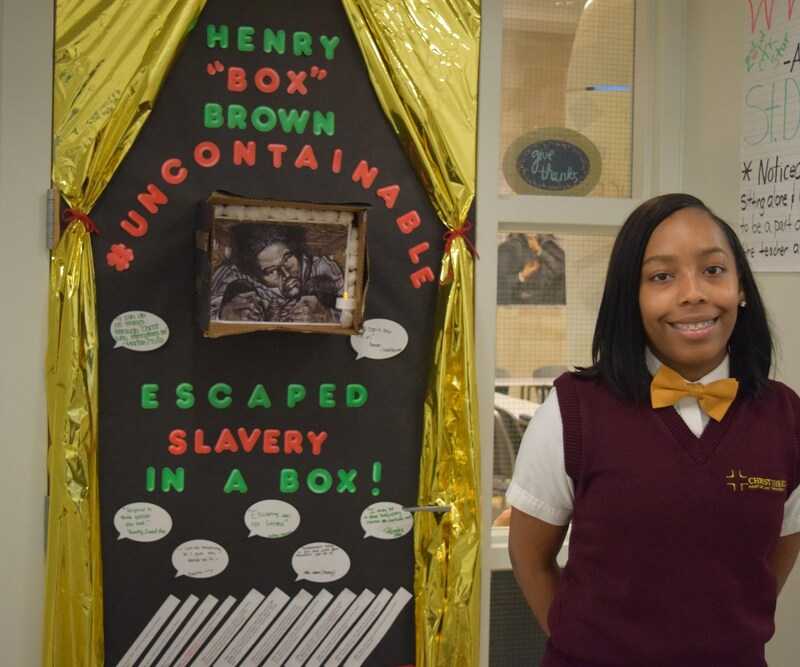 With over 90% of CTK's students of African-American heritage, it represents a great opportunity for our students to learn about key individuals and events from the past. 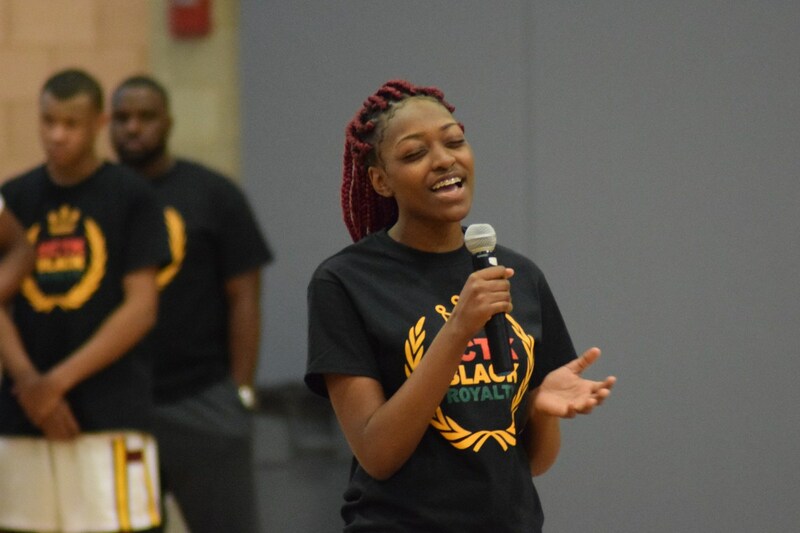 Maranda, Class of 2018 remarked, "It's important to learn about positive African-American leaders. We hear so many negative stories on TV, and many black figures are pushed aside in history books." This year's student-generated theme,"#CTKBlackRoyalty", ties into the school's Christ the King name, and also serves to motivate young African-Americans to be proud of their heritage. The Planning Committee led by CTK Dean of Students, George Boling, sought to make the activities educational, fun, and engaging. There was a full slate of activities which kicked off at the Martin Luther King Day service with the introduction of the 2018 theme and logo, followed by an inspirational talk by Dr. Annette Harris, Minister at Anointed by Christ Apostolic Church. 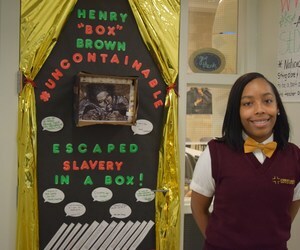 Other noteworthy events included: the Black History Month Games which featured boys & girls basketball games and a performance by the Jesse White tumblers; a visit and discussion with the director of a documentary film focused on the only completely African American regiment during WW1; participation in the CTK hosted Jesuit Day of Service; the black history academic Heritage Bowl; and culminating in the Talent Showcase event featuring a variety of student performances.